Cruise to Alaska, the Caribbean and more with Princess Cruises. Experience a fun-filled journey on a magnificent ship. Princess Cruises, once 'the little cruise line that could', is today one of the largest and most trusted cruise lines in the world. Renowned for life-changing adventure, enriching activities and mind-blowing entertainment, you will Come Back New from a cruise on board one of Princess Cruises' 18 spectacular ships. Experience Discovery at Sea with Princess Cruises' exciting range of memorable vacation activities for the whole family, from captivating stargazing experiences to Discovery & Animal Planet shore excursions and more. Princess Cruises prides itself in a range of luxurious amenities on board, such as the Princess Luxury Bed and a variety of indulgent facilities like the adults-only retreat The Sanctuary and The Lotus Spa and Fitness Center. Enjoy a relaxing cruise vacation to top destinations in Mexico, Alaska, Hawaii, the Caribbean and the Bahamas from a variety of United States ports such as Miami, New York, New Orleans, Florida, San Diego, Los Angeles and more. Coral Princess was engineered specifically to sail through the Panama Canal locks. 90% of her staterooms offer ocean views which is perfect for witnessing the engineering marvel of the Canal. Newly renovated in 2017, the Caribbean Princess offers her guests a host of activities. Her highlights include the enhanced “Movie Under the Stars” open-air cinema and the wide variety of dining options available. Emerald Princess is one of the largest ships in the fleet. Her 900 balconies are perfect for enjoying the colorful sunrise over the ocean or capturing breathtaking sunset sail-ins to romantic cities like Venice. From the sunny Caribbean to icy Antarctica, the Island Princess sails all over North and South America, traversing the Panama Canal several times per year. Her summer Alaska voyages are particularly popular among families. Golden Princess will take you to the most iconic destinations in Australia, New Zealand, Asia and the Pacific. She is one of the biggest ships in the fleet so there is plenty of space for restaurants and entertainment venues. Recently refurbished in a multi-million dollar dry dock, the Grand Princess is an elegant cruise ship great for families, couples, and adults traveling alone. Onboard festivals and regionally-inspired cuisine allow passengers to immerse themselves in the culture of the destinations they are visiting. The Star Princess offers luxurious itineraries in the Pacific Ocean, from Alaska and Hawaii to the Mexican Riviera. Enjoy the wide variety of entertainment and dining onboard. With seven different onboard restaurants, you'll feel spoiled for choice. Sailing to exotic destinations in Australia, Asia and the South Pacific, the Sun Princess is the epitome of relaxed refinement. Once the biggest cruise ship at sea, she's now considered mid-sized, delivering vacations with a small-ship feel, big-ship choice. Primarily based in Australia, Sea Princess takes passengers on a luxurious voyage to unique destinations such as London and Dubai. A mid-sized ship, she offers an intimate, small-ship atmosphere with the freedom of choice of a larger ship. One of the smallest ships in the Princess fleet, the Pacific Princess offers unique, destination-focused itineraries in an intimate environment. The ship's small size mean passengers will feel like family by the end of the cruise, and she can dock in exotic ports too small for larger ships. Ruby Princess offers you a romantic getaway in luxury surroundings. The amazing on board amenities and exciting features will ensure you feel like royalty as you sail around the world on board the Ruby Princess. From the magnificent fjords of Norway to the trade hub of Shanghai, the Sapphire Princess sails all over the world. Her unique itineraries make for an exciting voyage, though she offers plenty of opportunities to relax and unwind as well. The Regal Princess, is a spectacular example of the innovative Princess ships. Enjoy sunny cruise holidays around the Caribbean or expand your horizons sailing Northern Europe, British Isles and the Baltic Sea. One of Princess Cruises' newest ships, the Asia-inspired Majestic Princess sails to exotic destinations in East Asia, Australia and New Zealand. This state-of-the-art ship is outfitted with the latest innovations to provide exceptional comfort while cruising the sea. Making her debut in 2019, the Sky Princess will reach new heights of comfort and entertainment as she sails around the Mediterranean and the Caribbean. 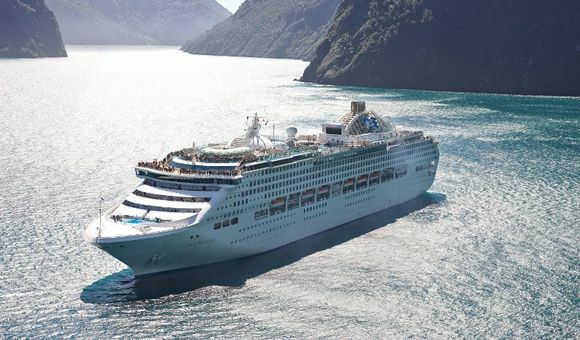 Enchanted Princess will join her sister ship, Sky Princess, in 2020, sailing the sunny waters of the Mediterranean Sea. Movies Under the Stars, a Chef’s Table experience, and a spacious spa are just some of the features passengers can look forwards to on their journey. Princess Cruises is an American-British owned cruising company based in California. The company is one of the best-known names in cruise industry that first set sail in 1965 with a cruise to Mexican Riviera. It has recently entered the TOP 10 most successful cruise line companies in the market and carries over 1.7 million cruise travelers every year to a great range of destinations across the globe. After a cruise with Princess Cruises you will come back with new experiences, new perspectives and many long-lasting memories. Let Princess Cruises take care of your every need. In comparison to other cruise lines, the ocean liners of Princess generally have significantly lower guest capacities which make for a more intimate cruising experience. Princess Cruises currently operate seventeen elegant vessels across five ship classes. Royal Class. Despite housing around 3,600 guests, the ships Regal Princess and Royal Princess have retained a sense of luxury and intimacy. With a great range of dining options and a handful of rejuvenating spa treatment and entertainment zones, The Royal Class from Princess Cruises lets you see the world without forgoing comfort and style. Grand Class. The Grand Class and its ships Ruby Princess, Emerald Princess, Caribbean Princess and Crown Princess are described as a revolution within the major ocean cruise industry. This is all thanks to luxurious and opulent onboard amenities. Princess Cruises provide some of the line’s exotic itineraries in the Caribbean, Hawaii, Europe and Mexico, so you can enjoy your vacation of a lifetime whilst enjoying all the amenities of this fantastic cruise operator. Take a look at our best deals and discover the world in a whole new way with Princess Cruises. Choose a Princess cruise to celebrate your honeymoon or anniversary and unwind with on a luxury cruise.